Close up of guitar player foot pressing pedal. Musician uses music effect loop machine. 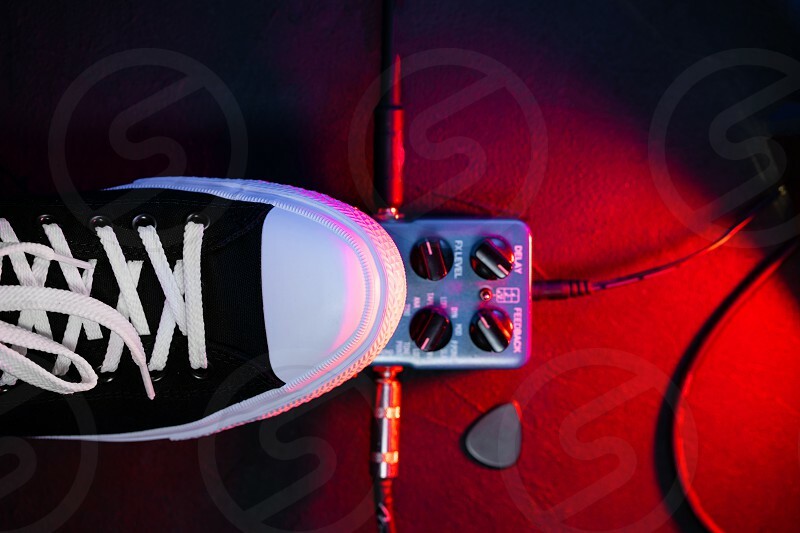 Man in trendy sneakers, his foot playing at stage during concert. Macro view.